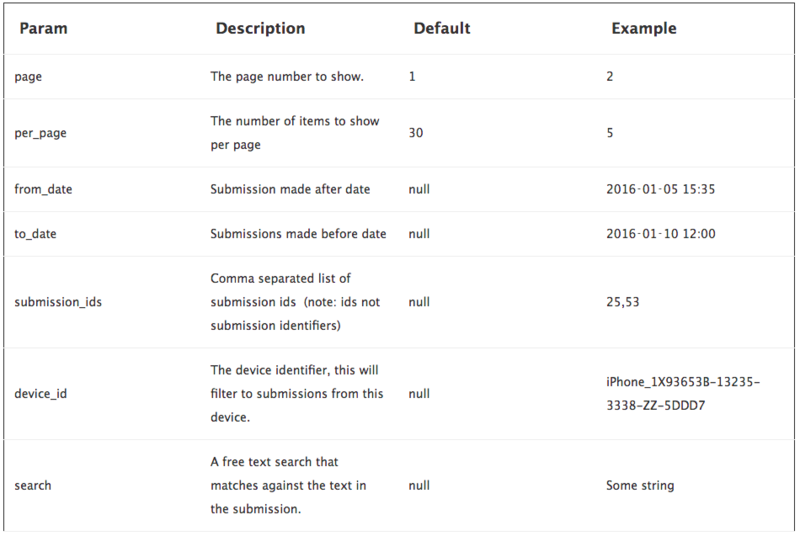 This API allows you to read submissions from your form's Device Magic Database. You need to have the Device Magic Database attached to your form and can only read submissions that have been sent to the database. To get submissions from the Device Magic Database, simply issue an HTTP GET request to the Base URL. This will return a list of all the submissions that match your criteria. e.g.